The second time around for the Beer Camp Across America 12-pack by Sierra Nevada took collaborations to a new level. Instead of working with just old friends they have gathered along the way, Sierra Nevada enlisted some more established breweries to form regional teams in formulating a beer that represented each area well. 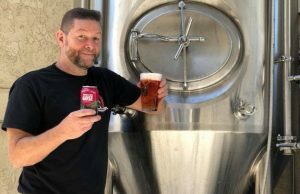 The use of smaller breweries that otherwise would not have had its name broadcast on a package nationally has brought a lot of smiles to regional owners. It could also lead to possible dollar signs as some consumers will seek out these regional breweries down the line. A total of 30 breweries (not including Sierra Nevada) helped with the six different beers, all brewed either in Sierra Nevada’s Chico, California or Mills River, North Carolina. 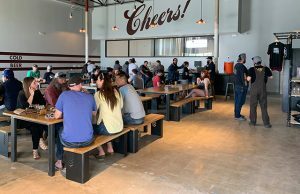 For small Boston brewery Trillium, which just expanded with its second location in December and plans to near 10,000 barrels by the end of the year after putting out about 2,500 in 2015, getting its name out there is only part of the experience. Getting to work with other brewers that they only knew by name before and getting to make connections was the biggest part of the journey through the collaboration. For instance, said co-owner Esther Tetreault, working with Mid-Atlantic/New England team captain Sam Calagione of Dogfish Head came by a chance meeting a year prior. Calagione had heard of Trillium and wanted to do a small event at the brewery about a year after it had opened. Splitting the small party of 50 into two sessions, the Tetreaults and Calagiones were able to pull it off. Now, Manley said, the look ahead to a 2018 collaboration may be considered. Stepping outside the box to figure out who to choose for that is a topic officials at the brewery have yet to discuss. Along with the beer release is a subsequent festival across the country, in each region near one of the breweries that was a part of the project. 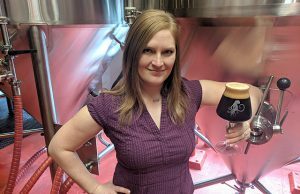 It’s quite an undertaking for a beer that only released just 4,000 barrels of the product the first time in 2014 and have bumped up production to about 6,000 bbls this time. “After 2014 we stopped after and said, that was amazing, let’s never do that again,” Manley said with a laugh. “It was such an extreme amount of work and making this happened crippled the brewery for a year, but we had to do it again. To have it be so successful and then never do it again would have been wrong. 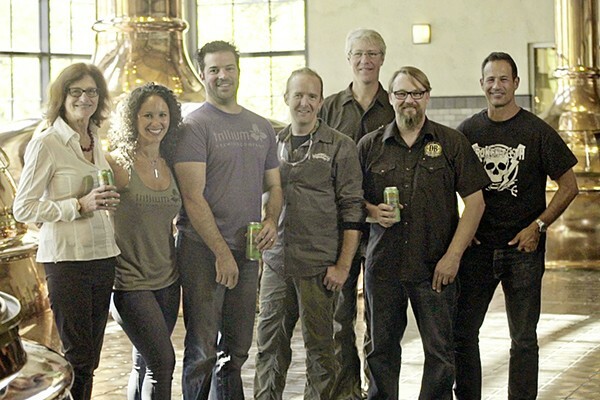 Co-founder of Pennsylvania’s Victory Brewing, Bill Covaleski said it was the 2014 traveling festival that really helped with Victory’s exposure. Although available in well more than half the states around the country, Covaleski still thought it was worth the effort. The community aspect of regional brewers getting to know other regional brewers has been the theme for the 2016 edition of Beer Camp, which was pretty much the theme among the brewers that were a part of the 2014 pack. 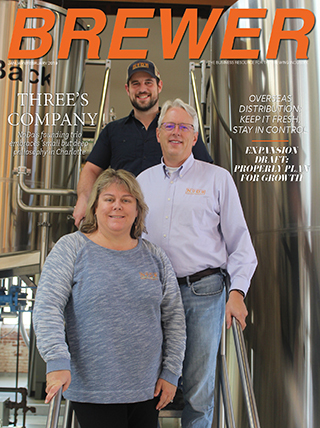 “It’s been almost two years and we built some great bonds with the people at the other breweries,” Manley said. “Everyone is friends and it’s great when we get together. That’s what it’s all about to bring the distant corners together and have a great shared experience. Tetreault agreed. Working with other regional breweries, ones that she had not had the chance to meet before was special. Making the recipe was a great process as well. She noted that the rye in her team’s Pat-Rye-Ot Revolutionary Pale Ale showcases a lot of what their brewery is all about. “It’s Danko Rye from Valley Malt in Hadely, Massachusetts,” Tetreault said. “We work with them a lot so we have used this rye before. It being a pale ale and this beer using rye has us pretty well represented. 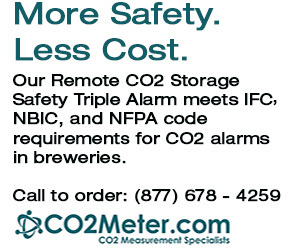 Covaleski said the national exposure for smaller breweries can help in many ways. 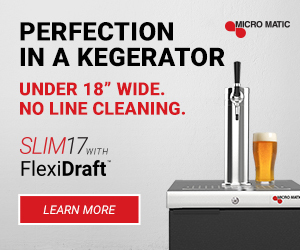 It can showcase a smaller brewery’s creativity. It can also help a company see if it wants to be in the limelight as a national brand, or if staying at its current size is the way to go.